Three quality openSUSE Tumbleweed snapshot were released since last Thursday with updated packages for Curl, Salt, FFmpeg and more. Mozilla Firefox had a minor release of version 66.0.3 in the latest Tumbleweed 20190415 snapshot. The browser addressed some performance issues with some HTML5 games and provided a Baidu search plugin for Chinese users and China’s Internet space. The command-line tool for transferring data using various protocols, curl 7.64.1 fixed many bugs and added additional libraries to check for Lightweight Directory Access Protocol (LDAP) support. The update of libvirt 5.2.0 dropped a few patches and added several new features like Storage Pool Capabilities to get a more detailed list XML output for the virConnectGetStoragePoolCapabilites Application Programming Interface (API) and libvirt also enabled firmware autoselection for the open-source emulator QEMU. The newest salt 2019.2.0 package in Tumbleweed enhanced network automation and broadened support for a variety of network operating systems, and features for configuration manipulation or operational command execution. Salt also added running playbooks to the 2019.2.0 release with the playbooks function and it includes an ansible playbooks state module, which can be used on a targeted host to run ansible playbooks, or used in an orchestration state runner. The snapshot was trending at a 95 rating at the time of publishing this article, according to the Tumbleweed snapshot reviewer. Snapshot 20190412 was trending at a 94 and that package brought an update to Ceph that added a separate option to config a Secure Sockets Layer (SSL) port. The cifs-utils 6.9 package, which is part of the Samba Project, added fixes for Azure and removed several patches. The libssh2_org 1.8.2 package fixed a misapplied patch that broke its previous version. A few YaST packages had some updates like the yast2-storage-ng 4.2.5 package that allows for a new format for importing/exporting Network File System (NFS) drives. 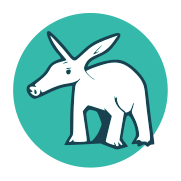 The were plenty of updated packages in openSUSE Tumbleweed this week and KDE updates were made available for Frameworks, Applications and Plasma. While the most recent snapshot didn’t include an update of a KDE package, four out of the six snapshots this week did. Snapshot 20180220 brought a few lesser known packages. The C library for asynchronous DNS requests known as c-ares updated to version 1.14.0. The c-ares update provided a patch for Common Vulnerabilities and Exposures (CVE)-2017-1000381 to protect against a network attack. The image view Eye of GNOME updated translations with the eog-plugins 3.26.2. The Xfce library targeted at application development known as Exo now has version 0.12.0, which was released from upstream six day before being released in this 20180220 snapshot. The requirements were updated for exo 0.12.0 and they include GTK 2.24, GTK 3.22, GLib 2.42, libxfce4ui 4.12 and libxfce4util 4.12. Developers looking to generate random numbers will find the update of the haveged 1.9.2 package. The Haveged package contains a daemon that generates an unpredictable stream of random numbers and feeds the /dev/random device. Linux Kernel 4.15.4 provided a fix to auto-negotiate security settings mismatches the 20180219 snapshot. Issues with AppStream required appstream-glib to revert from version 0.7.5 back to 0.7.4. The snapshot brought the first point release for KDE’s Long Term Support release of Plasma 5.12. The Plasma 5.12.1 version fixed several bugs including a fix for the mouse settings module that was crashing on Wayland.